Amputation is defined as the complete severance of a body extremity, such as a hand, foot, arm or leg. The symptoms and limitations associated with having an amputated limb vary depending on which body part has been amputated. Amputations involving one’s feet or legs typically affect that person’s ability to walk, bend, climb stairs, and otherwise ambulate (move around). Amputations involving the hands and arms typically impact one’s ability to push, pull, or perform fine and gross motor functions. Moreover, many amputees experience pain in the area of the amputated limb which may impact one’s cognitive abilities, which include the person’s ability to think and concentrate. An amputation may occur during a medical operation or as the result of an accident, an injury, or some other form of trauma. As with any other medical condition, to qualify for long term disability insurance benefits with an amputated limb or extremity, you must show that your condition causes you to be unable to perform functions that are important in the work place such as lifting, bending, walking, grasping, pushing, and pulling. Proof of such impairments depends on which limbs have been amputated and the type of work (heavy, moderate, light, sedentary) that you were performing or could be expected to perform. The loss of a lower limb above the ankle (tarsal region) with complications that medically prevent the person from using a prosthetic device to help him or her walk and effectively ambulate. 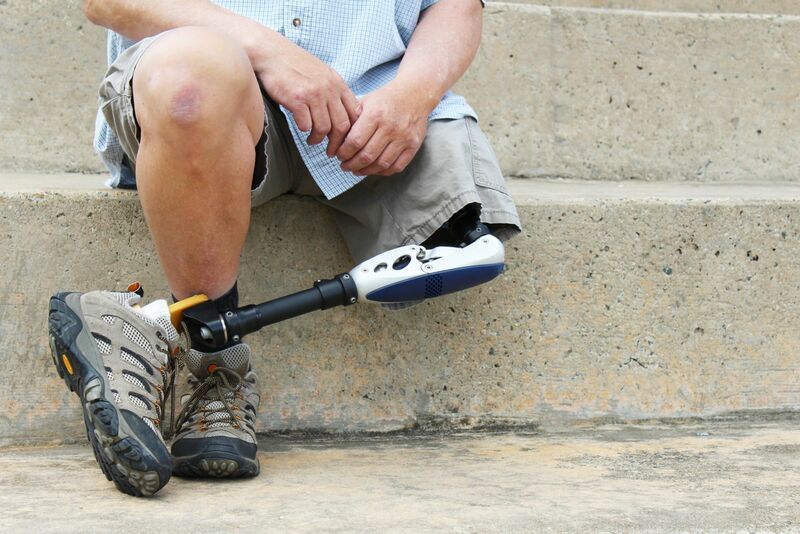 Loss of one hand and one lower limb above the ankle with the resulting inability to use a prosthetic device. Loss of an entire leg at the hip or pelvic region. Again, these are just examples. You will need to show how your amputation affects your ability to perform work activity. The LTD insurance adjuster assigned to your claim will take into account how your amputation affects your ability to perform daily tasks. It is important that your medical records and other documentation demonstrate that you cannot effectively use a prosthetic device and why. Your doctor’s medical report should also identify any and all restrictions you have with your daily activities that are the result of your amputation (and/or any other medically verifiable conditions that you may have). If your amputation disability claim has been denied or terminated, you should call an experienced long term disability attorney to assist you in your claim. Mr. Ortiz is an experienced disability lawyer and may be able to assist you. Call 850-308-7833 for a consultation.